Fresh flowers are lovely, but they just don’t last too long. 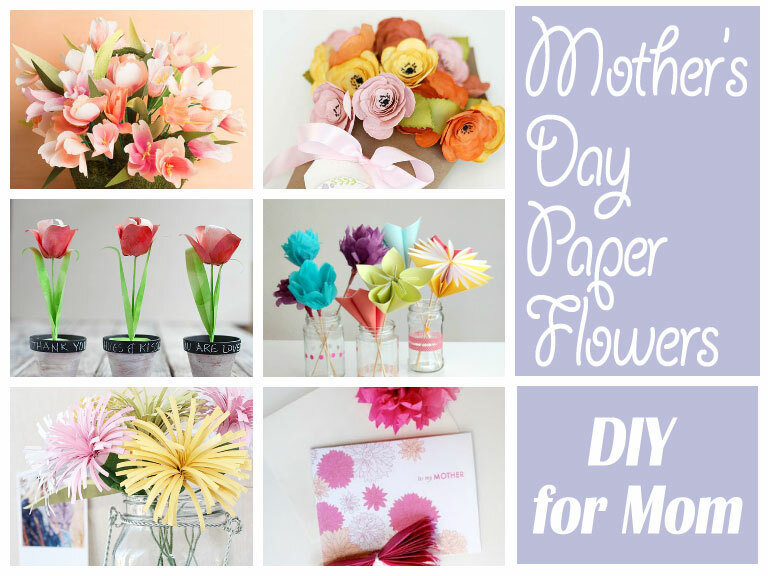 Celebrate Mother’s Day with these spectacular paper bouquets instead. They’re beautiful and Mom will appreciate the gift of time and thoughtfulness that you spent making her gift. 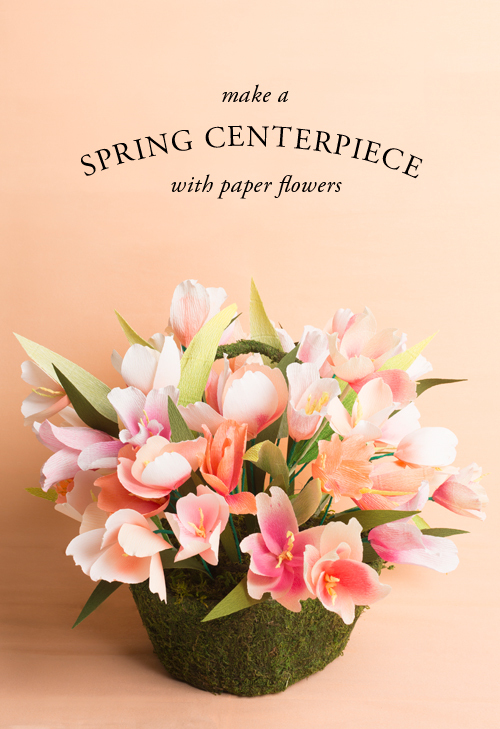 Wow your mom with this amazing Spring Tulip Centerpiece. Tulips are one of my favorites and they’re notorious for dropping their petals indoors once they’re cut. No worries with this gorgeous display! 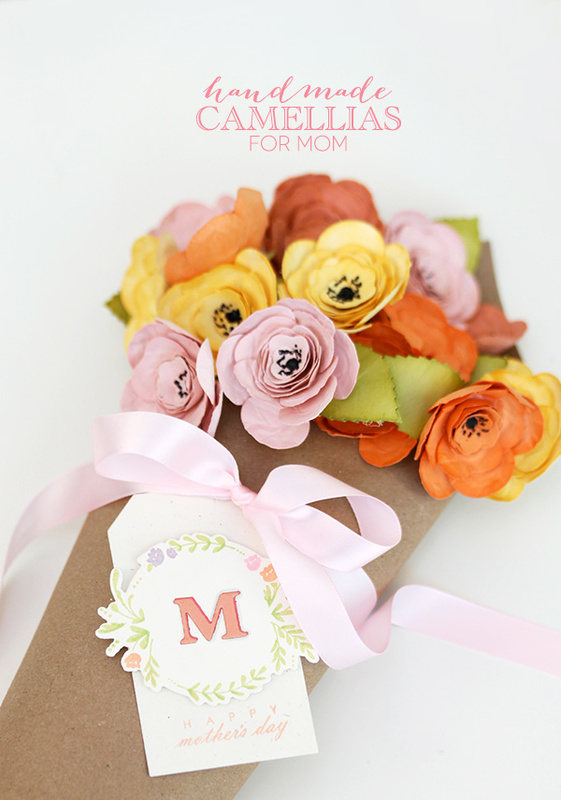 If you have a die-cut machine, you can follow along with this detailed tutorial for Handmade Camellias for Mom. 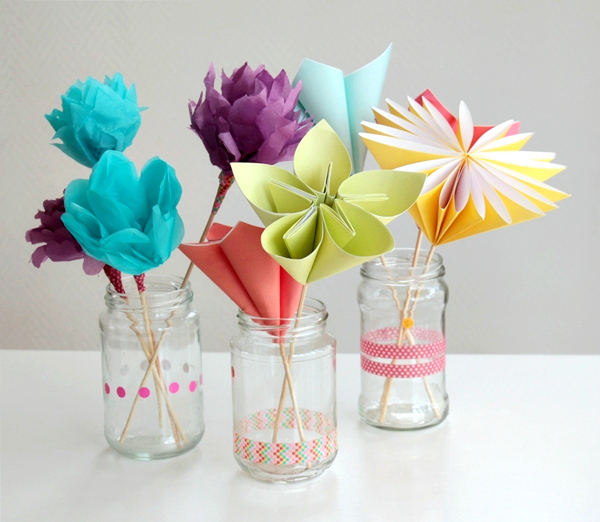 Otherwise, there’s some cute ideas for wrapping and assembling flowers from one of the other tutorials we’ve listed. 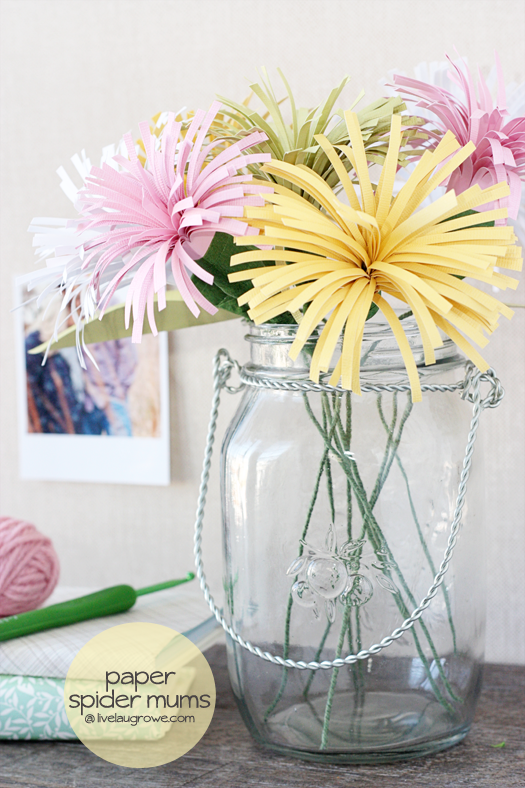 Honestly, I didn’t know Fringe Scissors existed until I read this tutorial for Paper Spider Mums, but they would make an easy project even faster to make. With such big flowers, just make a handful or so and add to a cute container for an adorable gift for mom. 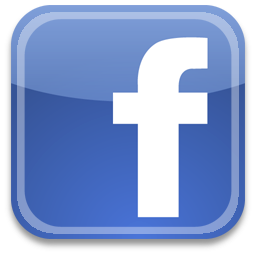 Does your Mom live across the country? Then this Long-Distance Mother’s Day Bouquet is perfect. 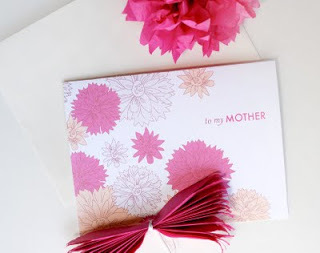 Mail mom the flowers flattened along with the free printable assembly instructions and matching card. She’ll get a big kick out of this creative gift – I know I would! Make paper daisies, dahlias, peonies, and lisianthus in an exuberant Paper Flower Mother’s Day Bouquet. Nothing fancy here – all you will need is paper, wooden skewers, glue and tape. 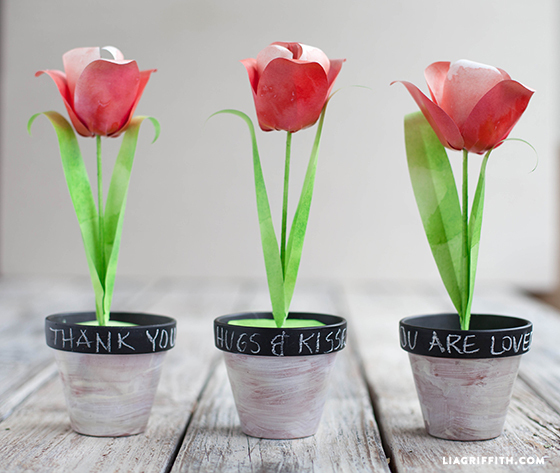 Write a cheerful Mother’s Day greeting on the rim of these Potted Paper Tulips or paint one permanently using a liner brush. 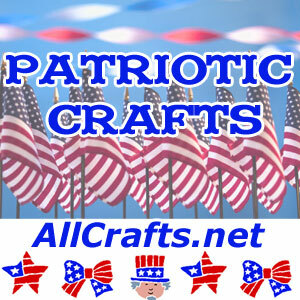 The flowers and leaves are cut and shaped from a free printable.